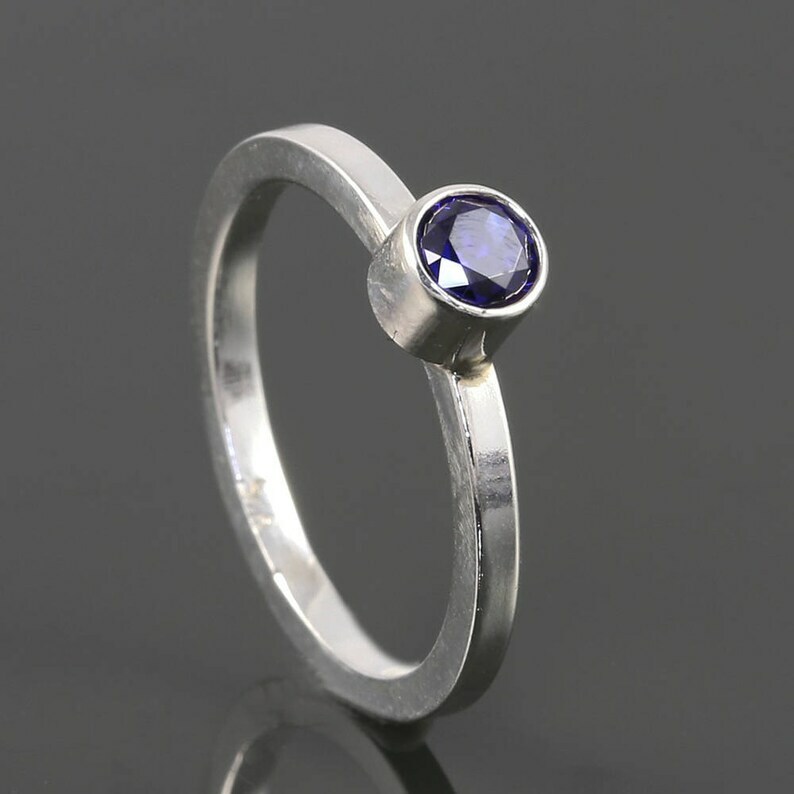 This stacking ring is made with all sterling silver and a lab-created blue sapphire gemstone. The lab-created sapphire has the similar chemistry and crystalline structure as natural sapphire (corundum), without the subtle flaws found in a natural stone. The gemstone measures approximately 4mm across, and I've tube-set it in sterling silver. The lab-created sapphire is a sparkling cobalt-navy blue with lots of sparkle. Sapphire is September's birthstone, making this ring an excellent September birthday gift. Pink Tourmaline Stacking Ring. Sterling Silver. October Birthstone. Choose Natural or Lab Gemstone. Made to Order. Stunning Aquamarine ring! Substantial sterling silver and lovely setting! Perfect sizing! Very happy to have ordered this ring and receive it before the weekend! I will enjoy wearing this ring often!Thank you, Michele, for your gorgeous creations, excellent service and a great shopping experience! Gorgeous Peridot ring! The gemstone is a nice size, high quality and very sparkly! Speedy shipping and safe delivery! Thank you, Michele, for your artisan creations! Thicker Stacking Ring. Twist Pattern. Sterling Silver. Made to Order. Ropy Design. Twisty Stackable Ring.